This stylish table lamp is an amazing piece of furniture for your living space. This gorgeous lamp is made of metal in a white color finish comes founded atop a circular base with an angular support that can be adjusted according to the requirement and it will be an amazing fit for your living space. A 60 watt bulb can be used to get proper lighting. 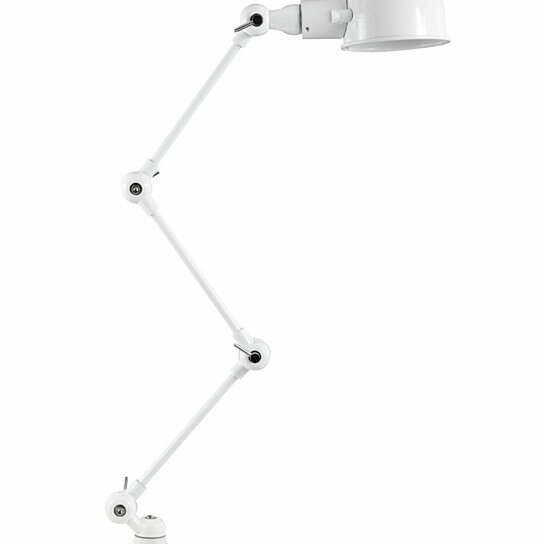 Use it in your bedroom, study room or even dining room by keeping it on a table and configure it to get lighting from any position.